Empire Online, an entertainment online magazine from the makers of Empire Print Magazine, recently revealed not just one, but two magazine cover photos for their October issue of Empire on print. 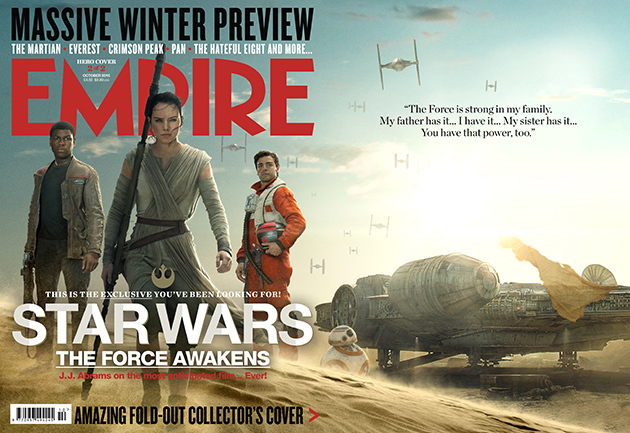 The Empire Magazine will feature the Star Wars: The Force Awakens exclusive behind-the-scenes with two different glossy magazine covers dedicated only to Star Wars fans. The magazine covers will grace some of the new characters in the Star Wars Universe that we will be waiting to come out in the coming months. 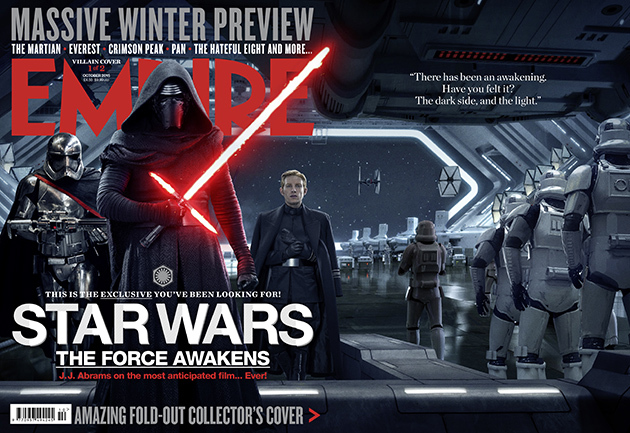 Star Wars Episode VII: The Force Awakens is set to release this December. *Watch the Star Wars Episode VII: The Force Awakens Movie Teaser here. Below are the first-look Empire Magazine spread (front and back) covers for the October issue is set to be released this Thursday (August 27) on different newsstand in the United States and coming soon on Philippine shores. Photos are courtesy of Empire Online.